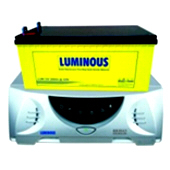 KEY FEATURES OF 900VA/12V AND 1KVA/12v Inverter. The 900VA/12v Inverter will meet most home and office power needs, excluding the heavy capacity equipment like air conditioners. Home appliances like Plasma/other TV, fans, lighting, fridge, computers, decoder and other home equipment can be powered by the 900VA/12v inverter. If not sure that it's the 900VA/12v inverter you need, our engineer will guide you to determine the right capacity for your load. 900VA /12v inverter delivers fast Change-over time - your equipment will remain on. Enjoy faster Charging to get your inverter changed in quick time. Offers battery protection for longer battery life. Circuit breaker to protect your appliances on high loads. Advanced Energy Flow Management for lowest electricity consumption. Reduced Component-Stress for more reliability & longer service life. Harmonics Compensated Wave shape for higher appliance life. We offer Business Solution to both co-operate offices, Government-Organization, Private-Organization individual-organization, Schools, Churches, Hotels etc.Our experience has thought us the importance of establishing a practical functional quality system, which cover all stages from tendering through actual execution of contract to final delivery commissioning. We respond to your needs professionally, and efficiently. Service and parts support are available 24 hours, 7 days a week from all our full-service facilities.